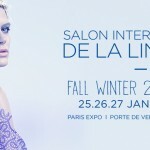 Upcoming week we will witness the next edition of Salon Internation de la Lingerie trade show and Interfiliere, its partner event dedicated to fabrics and lingerie accessories. After the last year celebration of the event’s round fiftieth anniversary, abounding in additional events and attractions, it is time to return to the roots and concentrate on what is most important: the lingerie. Effectively, it is for the lingerie that the Port de Versailles gate is to be crossed by up to 15.000 visitors from the entire world. Once again, 500 underwear and homewear brands will present their collections, among them the brands with long-standing tradition, such as Anita, Axami, Felina, Lise Charmel or Lejaby, on which the whole event is founded. The promotion of yound designers is another goal of the event. In a separate zone, they will present their original, limited collections made for sale in exclusive boutiques searching for something more than mass production. It is a perfect place for young and ambitious designers wishing to become known in the trade and find their first customers. This trade show, when compared with Mode City trade show in July, has a more noticeable Polish accent. Apart from regular trade show visitors, such as Axami, Ava, Kinga, Mat, Gorteks, Gracya, Gaia, Gabriella, other companies like Obsessive wishing to promote themselves on western European markets. The organizers themselves admit that during the following edition one of the strongest accent will be put on hosiery products, arousing more and more interest. Another strong accent will be put on men’s underwear which, after many years of staying in the shadow of lingerie, came out of hiding to have its own, separate section. This time the trends (one of the reasons why everyone connected with the trade come in crowds to Paris) will be presented inside a real-size lingerie boutique. Exhibitors and visitors will have the opportunity to take a look on the propositions for winter 2014/2015 as well as draw inspiration from the latest ideas on sales, window dressing and the products themselves. There will also be some differences concerning the shows. Two different shows are to be performed twice a day and additionally by the end of each day the Selection show presenting the most interesting propositions of exhibitors for winter 2014/2015 will be also performed. 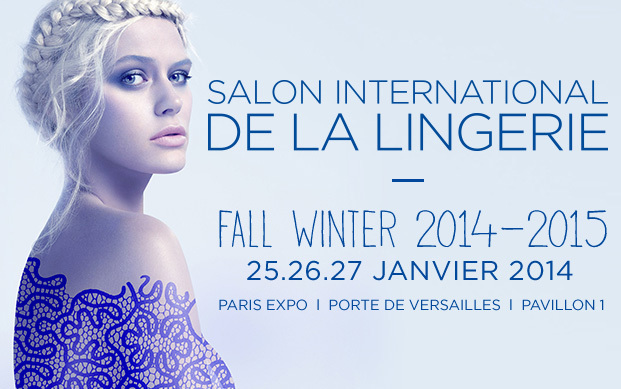 Moreover, Salon de la Lingerie offers the most interesting conferences. The schedule will include a presentation of the trends proposed by the greatest trend houses such as Promostyl or Nelly Rodi. The trade experts will suggest some ideas on the brand development on new interesting markets and share their experience concerning introduction of innovative products. Even though Paris is enchanting when covered in snow – we hope that this winter will be mild and everyone interested in the event will be able to appear and see the most important lingerie trade show in Europe. We are sure to be there – see you there then.